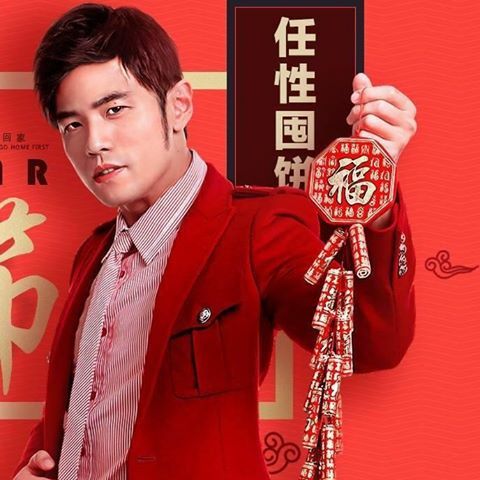 Jay Chou Diaoness: Updates: Lunar New Year; Valentine's Day; NYSM2; Esports; CONCERT! Musical! Updates: Lunar New Year; Valentine's Day; NYSM2; Esports; CONCERT! Musical! Today is Day 12 of the Lunar New Year so I thought I had better post something before the 15 days are up! Jay with another hawt Daddy, Jimmy Lin in their promo poster for Tuniu luggage! One week later, it was Valentine's Day! Hannah had mentioned in an earlier interview that she hoped Jay would be the first parent Hathaway called....looks like she got her wish! And she can now hand over night duties to Jay...lol! 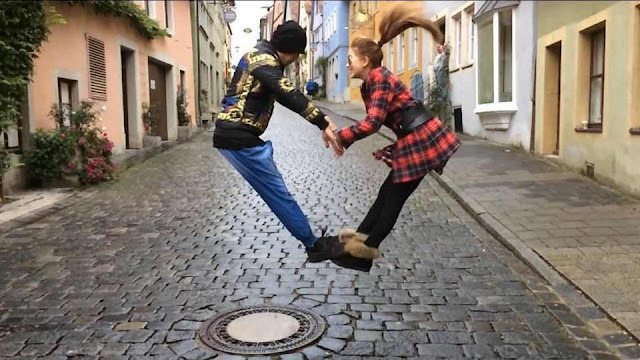 Any wonder why they are my favourite couple?? Observant fans, (like yours truly) however, noticed that this was not a current photo but at the end of the day, did it really matter? Apparently, his role in the movie is very small and low profile but Jay released a statement saying that the most significant aspect would have something to do with his music. Maybe that's why he was positioned right in the middle of the poster. Anyway, the information about his role is still very scarce; we only know he is Mr Li. And now for THE most exciting news today! We've had The One, Incomparable, The Era, OPUS. How to top those names? For his new concert tour, Jay has chosen to use INVINCIBLE, and boy has he earned that title! 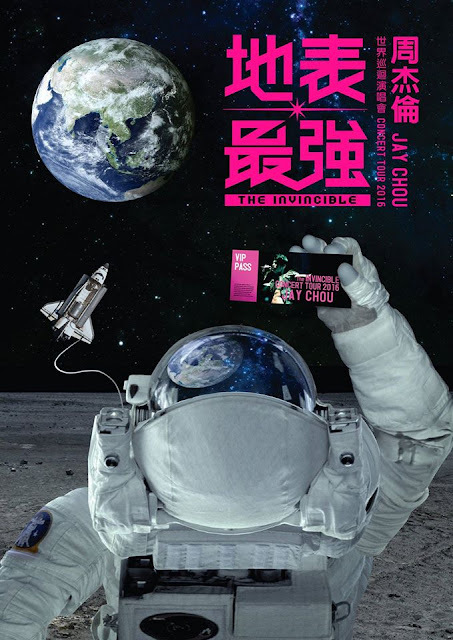 The Chinese phrase is 地表最强 (di biao zui qiang), which loosely translated means Earth's Strongest. And the post on the organiser, Multimedia Entertainment's website! "Asia's reigning Mandopop King is returning to Singapore with his all new concert on 3 September 2016! Jay's new world tour kicks off this July starting with Beijing and Shanghai. Fans here will get to see his exciting new concert and an all new stage production early in the tour as Singapore will be one of his first few stops! This will be an even more exciting year for Jay and his fans. Besides making a cameo in his second Hollywood movie, Now You See Me 2, Jay also sings the theme song and voices the character Monkey for the China release of of Kung Fu Panda 3. See Jay perform his newer songs and much loved classics. Listen to his deeply felt lyrics and join in his contagious stage energy. Backed by his talented band and dancers. 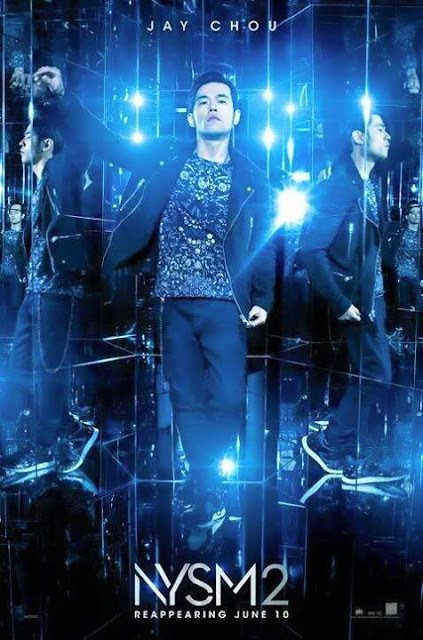 Jay Chou is a creative force and his accomplishments are presented through his concert in his signature style. This is Jay's 7th concert world tour. Fans snapped up much sought after concert tickets in all of Jay's previous concerts from Fantasy Concert 2001 to Opus Jay 2013. 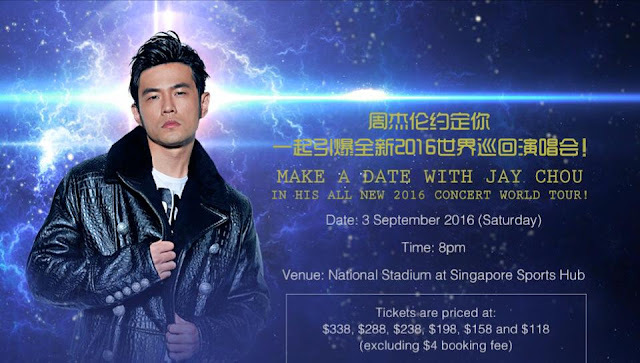 He is also the artiste with the fastest and most number of tickets sold in Singapore." Ticketing details can be found on the website. 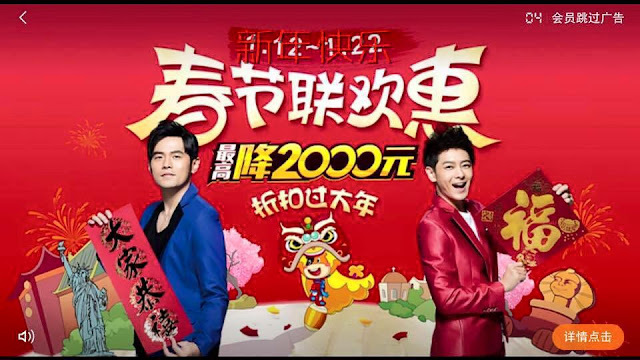 And last but not least, news about Jay's other collaboration with China Broadway and several well known names to produce a musical, using his songs. Casting calls and auditions soon. When I have more accurate information from an English news source, I will update. Feeling all hyped up much?? 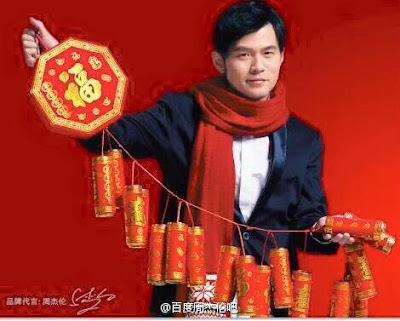 Till my next post, do keep up with news on the Jay Chou Diaoness Page!